Our convenience media network and in-store billboards span every major city and rural center across New Zealand with an ever growing site list of more than 1100 individual retailers. These retailers are primarily made up of privately owned dairy convenience stores however we do also cater for advertising in large national fuel retailers like Caltex. Advertisers tend to find the space attractive based on three key factors, sheer volume of audience (potentially millions of shoppers per week depending on store list size), 2 minute average shopper dwell time at checkout and large surface area for impactful brand messaging. Don’t forget, eye level is buy level. A NEW INNOVATION IN THE CONVENIENCE AND FUEL MEDIA SPACE. A TRULY DISRUPTIVE MEANS BY WHICH TO ENGAGE SHOPPERS AND DRIVE PURCHASE. THE MOST POWERFUL BRAND STATEMENT YOU CAN MAKE IN ROUTE RETAIL. 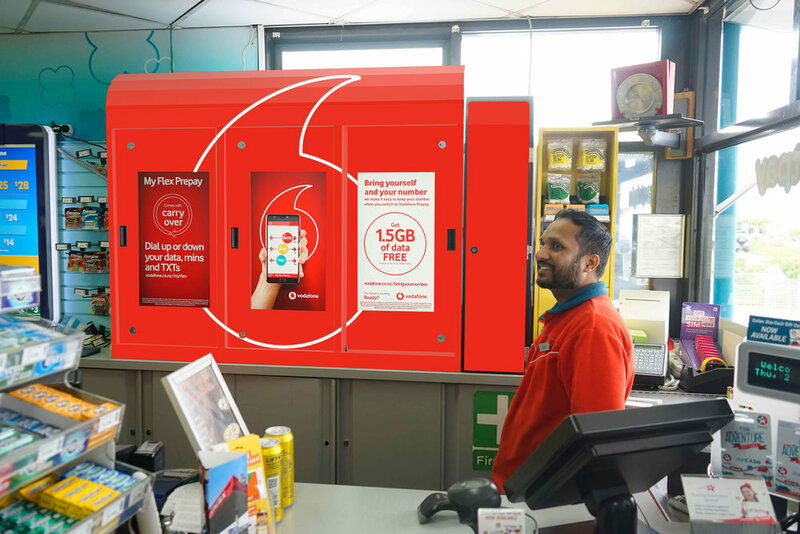 TAKEOVER THE COVETED DIGITAL SPACE WITH A FULL CABINET WRAP FOR ADDED IMPACT AND TOTAL CATEGORY OWNERSHIP.